Posting bail is usually required before someone who has been arrested can be released from jail to await trial. But that is not always the case. Not everyone who is arrested is placed in jail in the first place. For many minor offenses, such as traffic violations and in some states misdemeanor drug possession, the person will be issued a citation (ticket) stating their offense and giving them a date to show up in court. In cases where citations are issued, you can usually pay a fine before the court date and not have to show up for court at all. For most minor crimes, you won't be arrested or even go to court, if you go ahead a pay the fine. If you are arrested and booked into jail, then the first thing you probably want to find out is how much bail money will be required to get you out. For lesser crimes, such as misdemeanors, the bail amount is usually a standard amount that you can post just as soon as you can get the money or someone else can come to the jail and post the amount for you. Many times, people arrested and placed in jail can post bail and be released within a matter of hours. For more serious crimes, such as violent crimes, felonies, or multiple offenses, a judge or magistrate may have to set the bail amount. If this is the case, you may have to remain in jail until the next available court date. If you are arrested over the weekend, for example, you may have to wait until Monday to find out the amount of your bail. In some states, you can be held up to five days before seeing a judge. Bail is usually set in an amount necessary to guarantee that you will return to court at the appointed time. The greater your crime, the more likely you may be attempted not to return to court, so the greater the amount of bail. 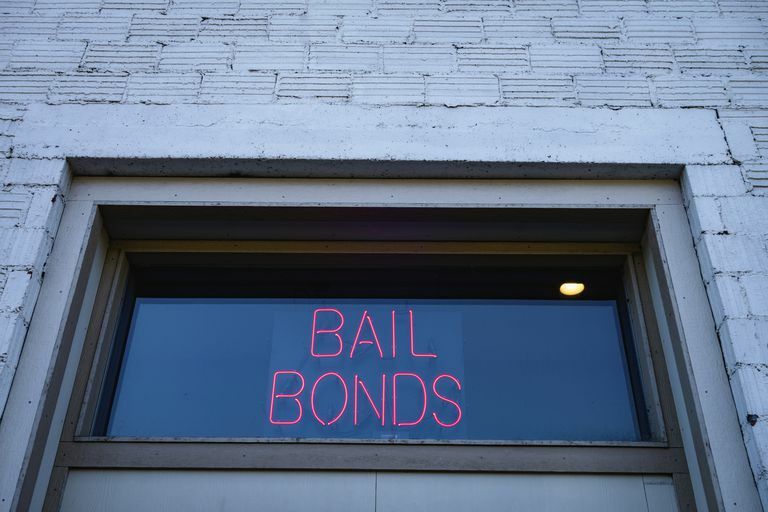 If you do not have the money to post bail, you may be able to purchase a bail bond instead. Usually handled through a bail bondsman who will post your bail for you in exchange for a fee (usually around 10 percent of your bail). For example, if your bail is set at $2000, a bail bond agent will probably charge you $200. You may have to put up some collateral or some other guarantee to convince the bondsman that you will show up for court. The difference between bail and a bond is, if you post bail yourself, you will get your money back when you appear on time for court. If you pay a bail bondsman, you will not get that money back, because it is a fee for his services. The best option that you can get, if you have been arrested, is being released on your own recognizance. In this case, you do not pay bail at all; you just sign a statement promising to return to court on a certain date. Being released OR, as it is sometimes called, is not available to everyone. To be released on your own recognizance, you must have strong ties to the community, either through family or business or be a lifelong or long-time member of the community. If you have no previous criminal history or if you have had only minor infractions and have a history of showing up in court when you are supposed to, you might also be released on your own recognizance. In either case, if you fail to show up for court at the appointed time, there will be consequences. Usually, a bench warrant is immediately issued for your arrest. If it is believed that you left the state, a federal warrant can be issued for your arrest for fleeing to avoid prosecution. If you, a family member or friend posted your bail, that money will be confiscated and never returned. If you paid a bails bondsman, the bonding agent could send a bounty hunter across jurisdictional lines to capture you. If you were released on your own recognizance and failed to show up for your court date, when you are caught you may be held without bond until your trial. At the very least, you will probably never be released on your own recognizance again.